This is a vodka you can mix with and not feel guilty about. Let’s Not Mince Words: Tito’s is most neutral Vodka I’ve ever had. It is affordable, smooth, and nearly non-present in its flavor profile. You all know how I love booze that announces its presence, well, Tito’s is the exact opposite of that. If Tito’s was a guest at a party you were throwing, you’d never know that it had arrived until you saw it sitting on your back porch with its feet kicked up. In its price point, compare Tito’s Handmade Vodka to Blue Ice, Finlandia, Absolute, and Chopin. But, if I’m being totally honest with you, it’ll hold its own versus Ketel One, Belvedere, Grey Goose and Hangar One. If Tito’s was a guest at a party you were throwing, you’d never know that it had arrived until you saw it sitting on your back porch with its feet kicked up. All Vodkas have a twinge of “disinfectant” smell about them. Even the most expensive one you’ll ever find will smell a touch Witch Hazelly at room temperature. And while Tito’s has that twinge, it’s so subtle that you really have to work for it. The main point of Vodka is to be Neutral, to have no flavor of its own and no scent. In this regard, Tito’s is true winner. There are no detractors to this stuff. If you want a real neutral spirit, look no further than Tito’s. Oh, and if you REALLY want to kill any scent: serve Tito’s cold. Just out of the fridge or shaken with ice, Tito’s is alcoholic water. If you want a real neutral spirit, look no further than Tito’s. While I’ve previously extolled the virtues of Jewel of Russia Vodka, Tito’s is a different experience. They’re both fantastic, but Jewel of Russia has its own unique flavor profile (much like Ketel One), while Tito’s is neutral. And while New Amsterdam Vodka has its own flavor as well, the astringency and bitterness make it less-than-suitable for all of your Vodka needs. On the other hand, Tito’s will work in every single Vodka cocktail you can think of. Every. Single. One. 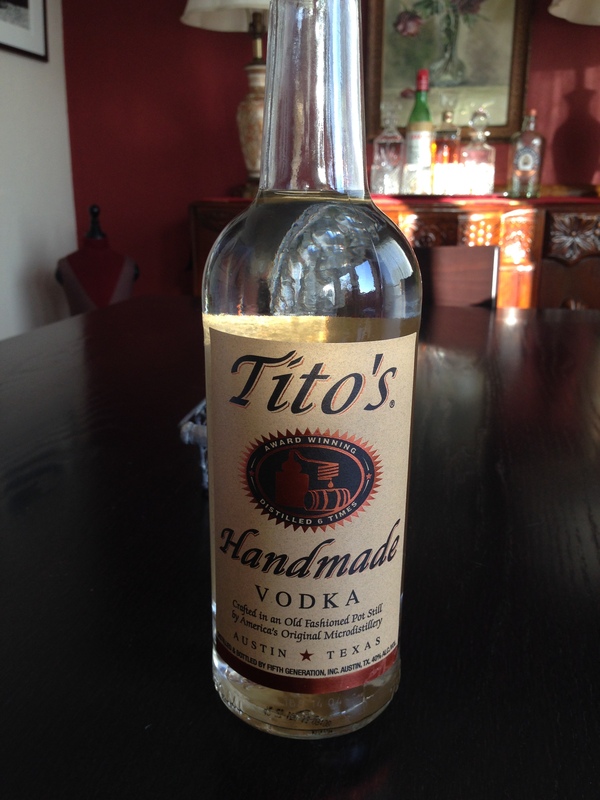 If I had to sum up Tito’s Handmade Vodka (and I do) I’d call it The Best Bang for Your Buck Vodka. And, I’ll call it my House Vodka. Agree totally on Tito’s. Have been a Goose Guy. No need to impress. Tito’s does a great martini as well as the best Tito’s and Tonic sitting on the deck in the summer. An all season vodka! Love Tito’s Vodka. Being Dutch I also love Ketet One, but Tito’s more resunably priced. Great with Tonic or Soda. Buty Tito’s most of the time.